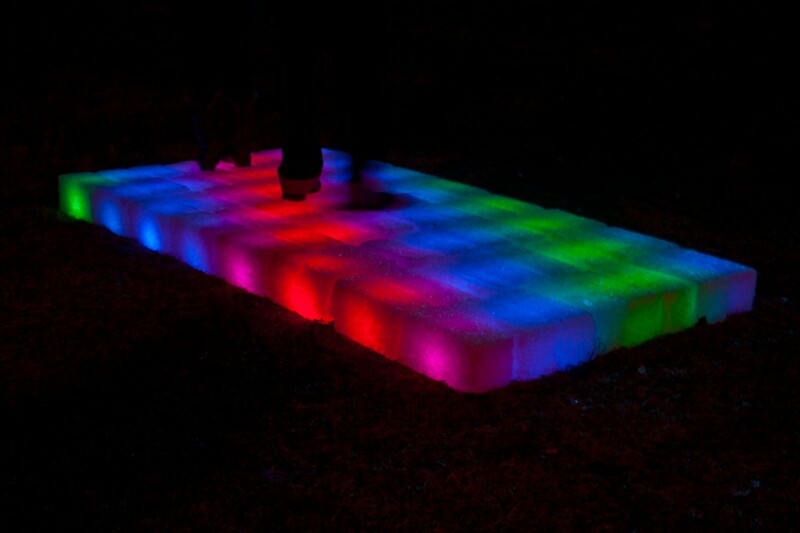 The LED ICE MATRIX is an interactive light installation, that illuminates 64 iceblock’s with a range of 15000 shades of lights. 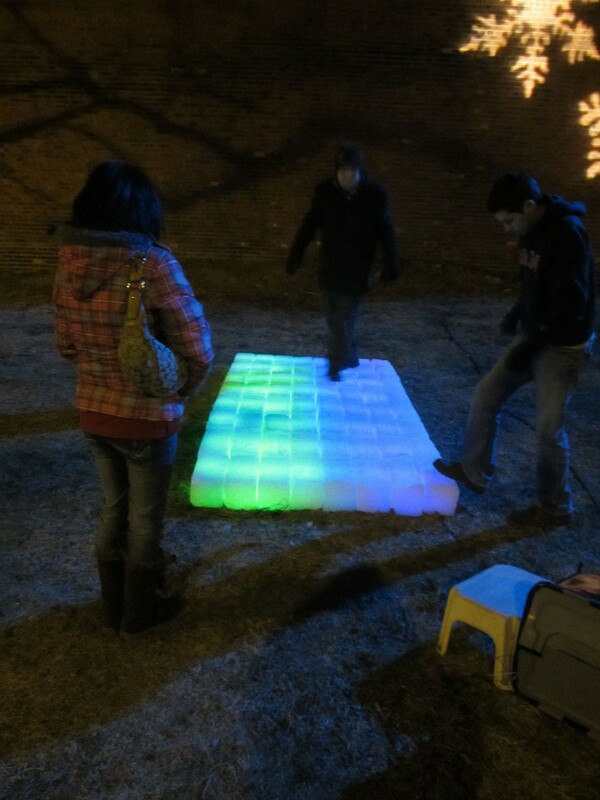 The MATRIX reacts to the surrounding ambient noise, like music or talk. Preset animations can be changed on the fly. 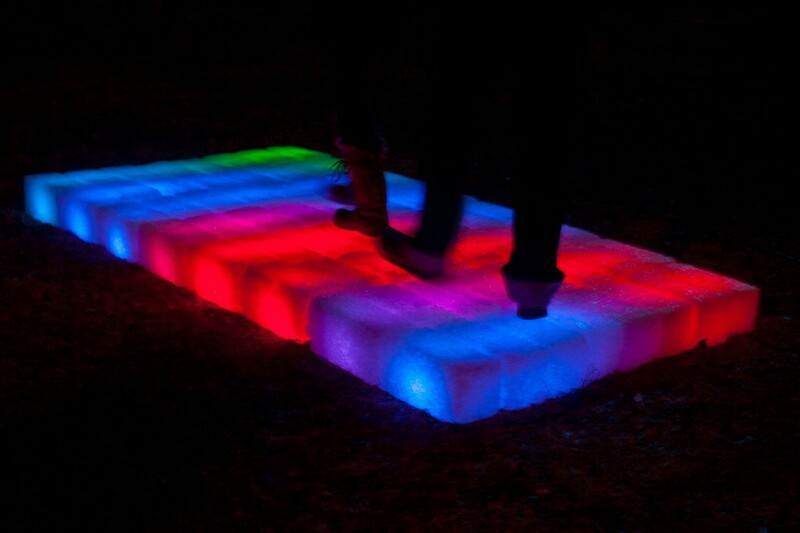 The installation consisted of 64 ice blocks, a RGB LED harness driven by an arduino and our custom software. 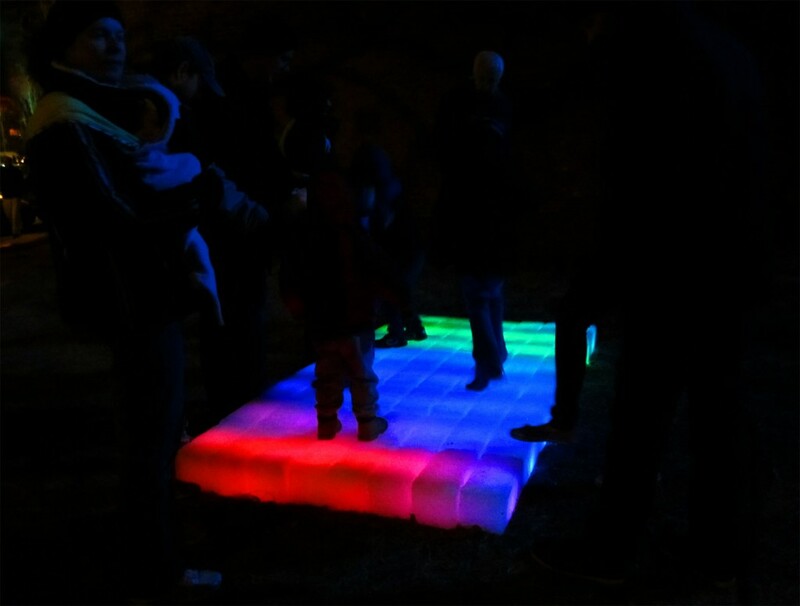 LED ICE MATRIX premiered at the 2012 Brite Winter festival in Ohio City.